Think about the audience and how this might appeal to them. Before you start spending money it is important to work out the market and size of the opportunity. Calculate the ROI. 2. Engage an experienced development partner. Speak to your contacts and ask for a recommendation. Have an initial discussion with potential development suppliers. We would recommend that you ask them to sign an NDA, particularly if you need to share data, content or ideas that you feel are commercially sensitive. Be thorough and be really clear about what you need. This process normally has a cost related to it and, with the right partner, this is money well worth spending. 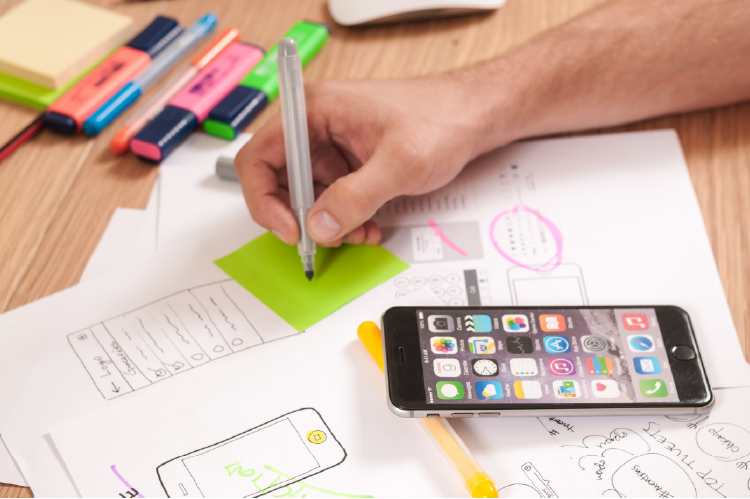 At the end of the process you should have an App specification that will be used to guide the development team through the development process. 4. Agree a price & establish any ongoing running costs. Cost is normally calculated based on the number of days required to develop, manage and deliver the project for the client + ongoing costs, such as hosting, support & maintenance. Check what is included in the price. 5. Make sure you include support & maintenance. Consider what you need and then establish that your App development partner is able to support your ongoing and future needs. Updates are a regular feature of the App stores and compliance is a requirement not a nice to have. 6. Devise a clear App strategy. This needs to dovetail with your business strategy. How will the App support and deliver the overall business plan? Ensure your plans are aligned or your risk wasting money and not extracting the maximum ROI. 7. Keep the App simple. Avoid complex layers and navigation. If it’s for a phone, be realistic about what is possible on the device. Say no to gimmicks and nice to haves and don’t try to do too much with your first version (An effective App strategy & user feedback will help you here). Tell your clients, contacts and prospects. This is excellent marketing collateral and digitally speaking very easy to share amongst large groups of people + it sends a strong message about your brand. Incorporate a structured feedback mechanism so that users can feedback their thoughts on the App, its design and its functionality. Like most forms of new technology, the idea of a mobile app and its potential uses was difficult to grasp when they first appeared on the market. But with the significant majority of adults now regularly using a smartphone and the trend to accessing data via a mobile app only increasing there is now an expectation that businesses will be utilising app technology either as a means of communication with their customers or by providing apps to support their day to day operations and grow their business. We know from experience that the excitement of a mobile app development project, sometimes means that key considerations can be overlooked. If you are in the process of considering an app for your business, I hope these pointers will help you through the process. If you’d like further information on apps and the development process, then please complete the contact form or call us on 01858 467746 .